Joe McCarthy vs Joe Welch: What REALLY Happened? 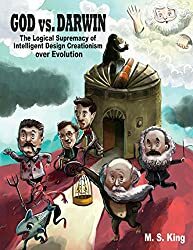 Whenever a man of true accomplishment ventures out beyond his field of expertise; he runs the risk of falling into the trap of superficiality and inserting his foot in his mouth. 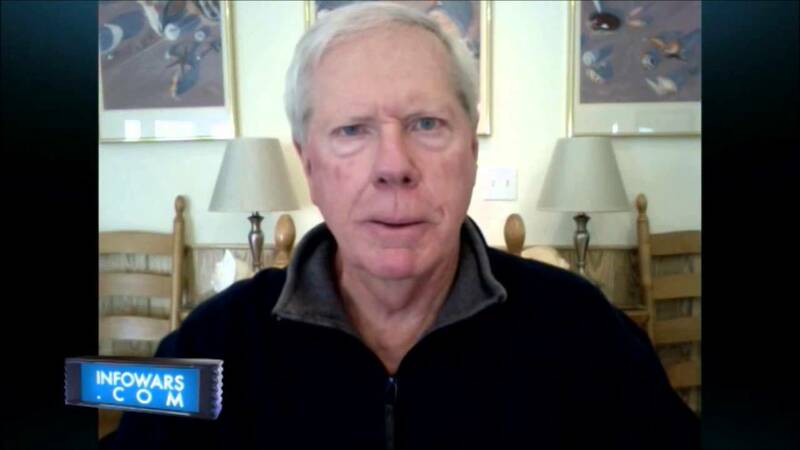 And so it is, once again, with the esteemed anti-Establishment economist and columnist/blogger, Paul Craig Roberts. 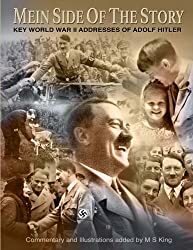 After having twice been previously corrected by your favorite alternative historian here over erroneous statements regarding the meaning of 'Deutschland Uber Alles' (here), and the Soviet-German war within World War II (here) -- Roberts has repeated a big lie about the late great anti-Communist Senator, Joseph McCarthy (R-WI). So, with all love and due respect, it's back to the woodshed we go. Dr. Roberts; this is going to hurt me more than it does you. 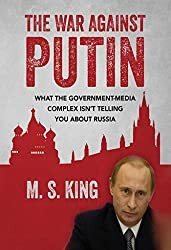 "Putin’s question reminds me of the question Joseph Welch asked witch-hunting Senator Joseph McCarthy: “Have you no sense of decency?” Welch’s question is attributed with initiating the decline of McCarthy’s career." First and foremost, as long-since declassified U.S. Intelligence documents and long-since opened Soviet archives have completely confirmed; Joe McCarthy was not a "witch-hunter". 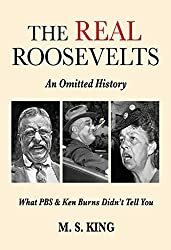 Indeed, even many liberal historians have had to readjust their positions regarding what we now know was a substantial penetration of the U.S. government by Communist subversives (originally aided and abetted by FDR) . The overall subject is too vast to adequately cover in this piece. 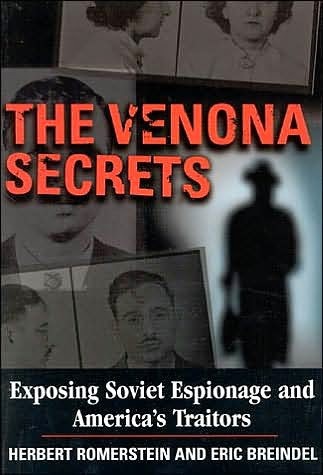 Highly recommended and authoritative books on the matter are 'The Venona Intercepts' by Eric Breindel; and 'Blacklisted by History' by M. Stanton Evans. 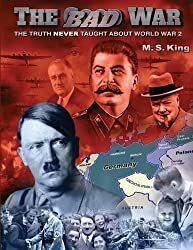 These two well-researched books that set the record straight about the shocking level of the Communist subversion of the 1940's - 1950's. "Witch-hunt" my a - -! Given Roberts' reference to the hearings as a "witch-hunt", we may logically infer that he is agreement with Welch's theatric accusation that McCarthy was lacking in "decency". But had Roberts taken the time to dig a bit deeper - to see the overall context of the event - he would have clearly seen that McCarthy's questioning of Welch (Attorney for the Army) was neither out of order nor outside the boundaries of "decency", at all! To the contrary, it was Welch who raised his voice, turned hostile and displayed "indecency." 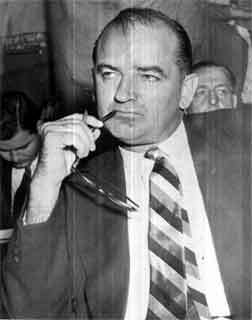 McCarthy was understandably suspicious over the fact that the Army's chosen law firm tried to assign a Communist - or at least a Communist sympathizer / "fellow traveler" - to confront and confound a Senate Committee tasked with exposing Communists within the ranks of the very government which the Army is supposed to answer to. (Welch had to withdraw Fisher from the case.) In a very calm and civil tone (video down below), McCarthy (an ex-Judge) questioned Welch about his Communist boy Fisher. That's when the grand-standing Welch, animated and agitated, put on the self-righteous and aggressive victimization act which the press, court historians, and Hollywood have made so famous. Welch accused McCarthy of "recklessness" and "cruelty" -- accusations which stick to this day. But was Joe McCarthy really being "reckless" and "indecent" in his exchange with Attorney Welch? You decide! McCarthy has asked Welch about Fred Fisher and his membership in the Communist NLG. Welch: Until this moment, Senator, I think I have never really gauged your cruelty or your recklessness. Fred Fisher is a young man who went to the Harvard Law School and came into my firm and is starting what looks to be a brilliant career with us. Little did I dream you could be so reckless and so cruel as to do an injury to that lad. It is true he is still with Hale and Dorr. It is true that he will continue to be with Hale and Dorr. It is, I regret to say, equally true that I fear he shall always bear a scar needlessly inflicted by you. If it were in my power to forgive you for your reckless cruelty I would do so. 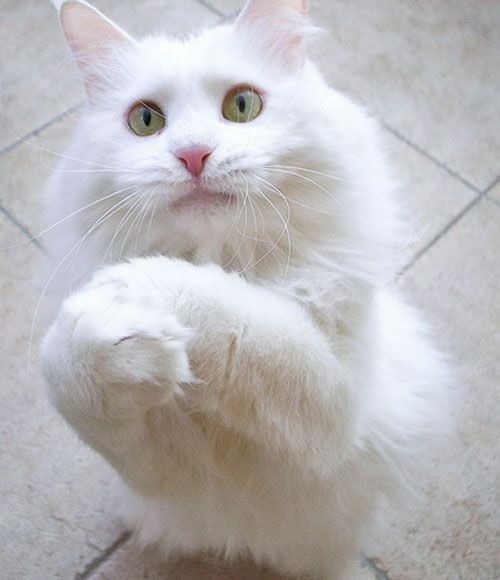 I like to think I am a gentleman, but your forgiveness will have to come from someone other than me. Welch: Senator, may we not drop this? We know he belonged to the Lawyers Guild. Let us not assassinate this lad further, Senator. You've done enough. Have you no sense of decency, sir? At long last, have you left no sense of decency? McCarthy: Mr. Welch talks about any sense of decency. It seems that Mr. Welch is pained so deeply -- he thinks it is improper for me to give the record - the Communist front record - of a man whom he wanted to foist upon this committee. -- Mr.Welch, if I have said anything here which is untrue, then tell me. I have heard you and everyone else talk so much about laying the truth on the table. Welch: Mr. McCarthy, I will not discuss this further with you. You have sat within six feet of me and could have asked me about Fred Fisher. You have seen fit to bring it out. And if there is a God in Heaven it will do neither you nor your cause any good. I will not discuss it further. I will not ask Mr. Cohn any more questions. You, Mr. Chairman, may, if you will, call the next witness. 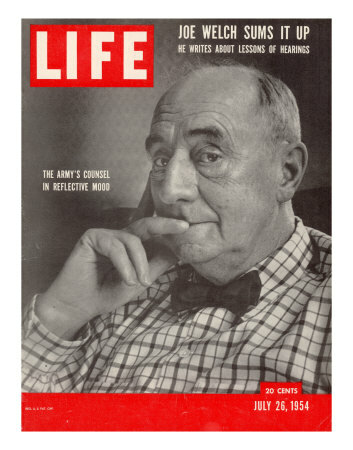 Now, I ask you, Dr. Roberts, and dear reader -- what was so "cruel" -- what was so "indecent" about Senator McCarthy wanting to get to the bottom of the mystery of how and why a Communist lawyer was assigned to represent the U.S. Army during hearings indirectly related to the exposure of Stalin's Red moles? (Stalin had only recently died.) One must admit -- it is a bit troubling, no, mind-boggling, is it not? Why did Welch over-react and turn so defensive? Answer: Because he was busted - that's why! The following day, The New York Slimes, The Washington Compost, and the rest of the Piranha Press followed "hero" Welch's lead and denounced McCarthy for his "tactics." The Fake News of yesteryear became the Fake History of today -- taught to every schoolchild in America. Typical! 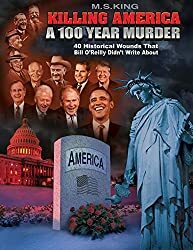 All throughout the Army-McCarthy hearings - which really scared the phony "anti-Communist" President / ex-General Eisenhower - the press smeared McCarthy and misrepresented all the testimonies. On the other hand, Welch, the slick sophist and defender of Communists, was hyped up as a heroic fighter for freedom and human rights! The Communist Fred Fisher went on to become a full partner at Welch's Hale and Dorr. In 1973–74, he served as president of the Massachusetts Bar Association. In 1989, he died in Israel, (cough-cough) where he was lecturing. 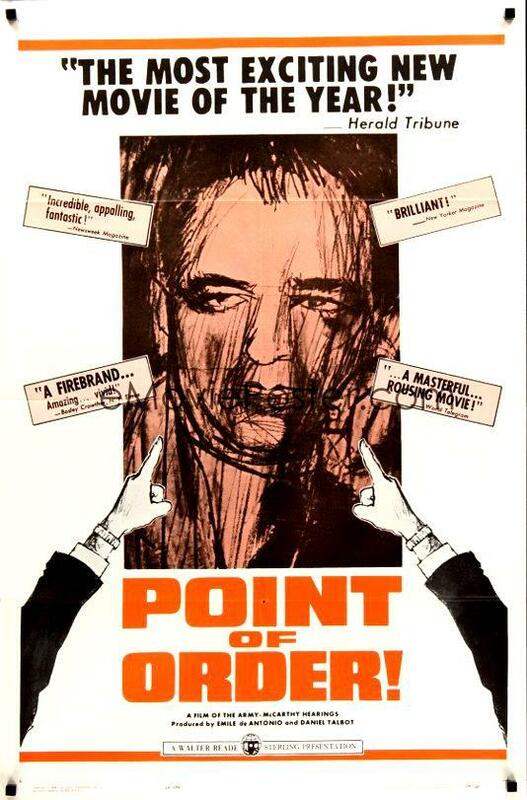 Joseph Welch, that big-mouth drama queen with the nasty demeanor, became a living legend of the left -- even playing a judge in the film Anatomy of a Murder (1959). His wife, Agnes, was also cast in the film, as a juror. He was nominated for a Golden Globe Award for Best Supporting Actor. Welch also narrated two television shows before his death in 1960. And what of the great, the good and the misunderstood Joseph McCarthy? 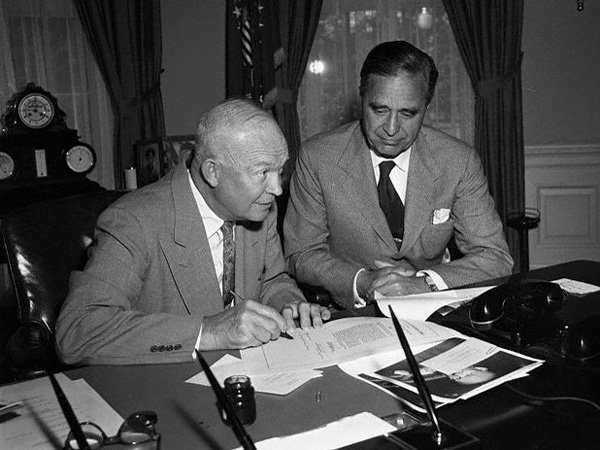 President Eisenhower, working behind the scenes, eventually had the anti-Communist hearings killed and McCarthy censured by his Senate colleagues (prominent among them being Senator Prescott Bush - patriarch of that vile Bush Family Dynasty). The "disgraced" Senator McCarthy soon died of a very suspicious and sudden death (poison?) in 1957. He was just 47. In terms of inducing pure revulsion and hatred, McCarthy's name ranks second only to that of the Great One (that's Adolf Hitler for all of you newbies and normies) -- which tells us all we need to know about both men! As the Roman poet-philosopher Ausonius once observed: "Truth is the mother of hatred." 1- A libtard named Michael Leon urinates on the grave of Senator Joseph R. McCarthy in St. Mary's Cemetery - Appleton, WI. -- a common practice among area Communists & Libtards. 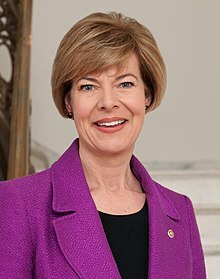 (here) 2- McCarthy's Senate seat is held today by Commie-Pinko lesbian Tammy Baldwin. View part of the McCarthy-Welch exchange below -- and please - when you get the chance, contribute to our FEBRUARY FUNDRAISER so that we can continue to bring you these unique educational pieces. TomatoBubble does not sell advertising. We rely on reader support to bring you and new audiences this unique and important content. WHO IS BEHIND ALL THE DECEIT AND TROUBLE IN THIS WORLD ... AND WHY? STUDY "PLANET ROTHSCHILD" AND LEARN!